‘In a Jeep you may see Sri Lankan wilderness…. On foot you feel, hear and smell it…. 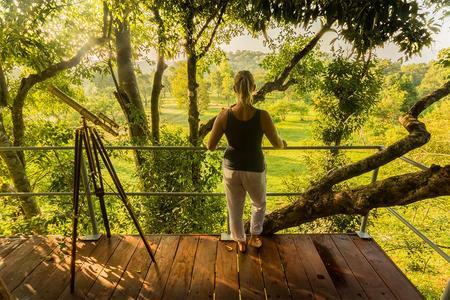 Ahas Pokuna, Sinhalese for ‘sky pool’, references the beautiful lake, high up in the hills where this incredible camp is located. 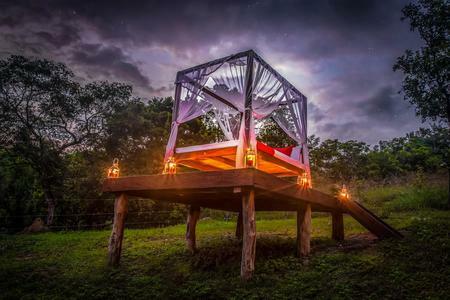 This jungle hideaway provides a perfect retreat for those looking for something different. 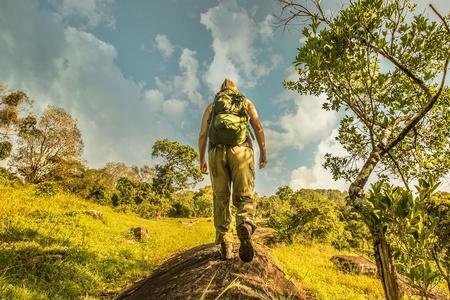 Bush walks led by professional naturalists and expert bushmen are what makes this experience entirely unique. ‘In a Jeep you may see Sri Lankan wilderness…. On foot you feel, hear and smell it…. 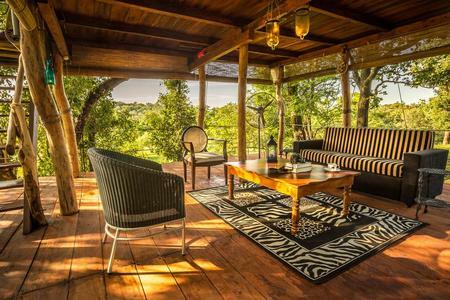 3 Luxurious suites look out onto the grasslands and mountains and are situated around a natural waterhole. You can rest assured as the cabins are fenced off for your own security while the mammals are not and are free to roam across thousands of acres. 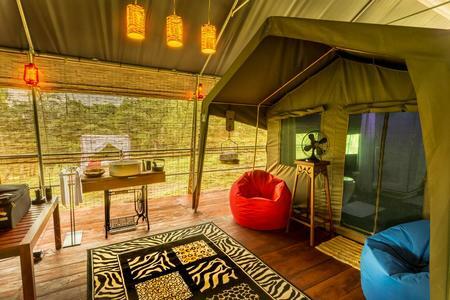 Admire the wildlife from your private deck, sleep indoors or in your very own four poster ‘star bed’ with just a mosquito net between you and the open air. 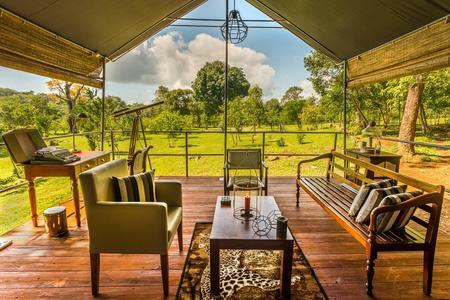 You can even relax in a bush bath tub which overlooks the grasslands. There are numerous private spaces where you can read, relax, or do some yoga or meditation. 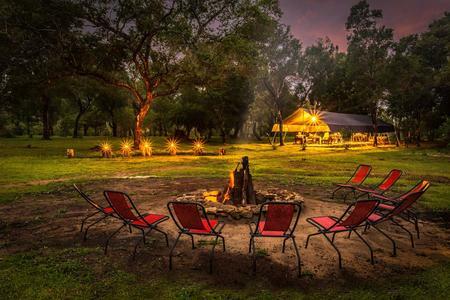 Sit around the campfire in the evening and enjoy a glass of wine before a silver service dinner. 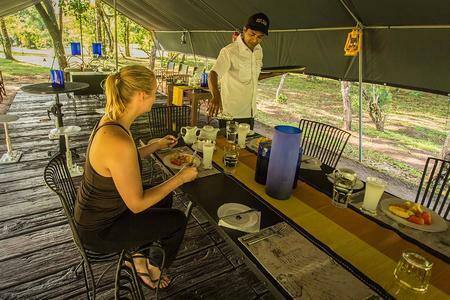 You can also enjoy an ayurvedic therapy or massage and learn to cook with the camp’s chefs using traditional Sri Lankan clay pots over a fire. You can visit the local tribespeople who will welcome you into their home. 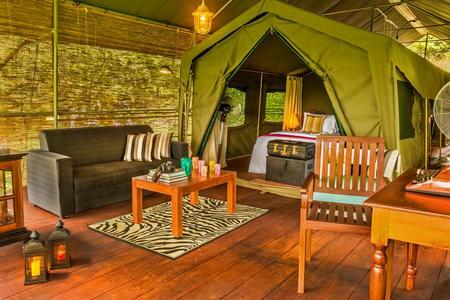 Guests walk a reasonably short distance into camp as Ahas Pokuna can not be directly accessed by road.